I walked down St. Aldate's to Alice's Shop. 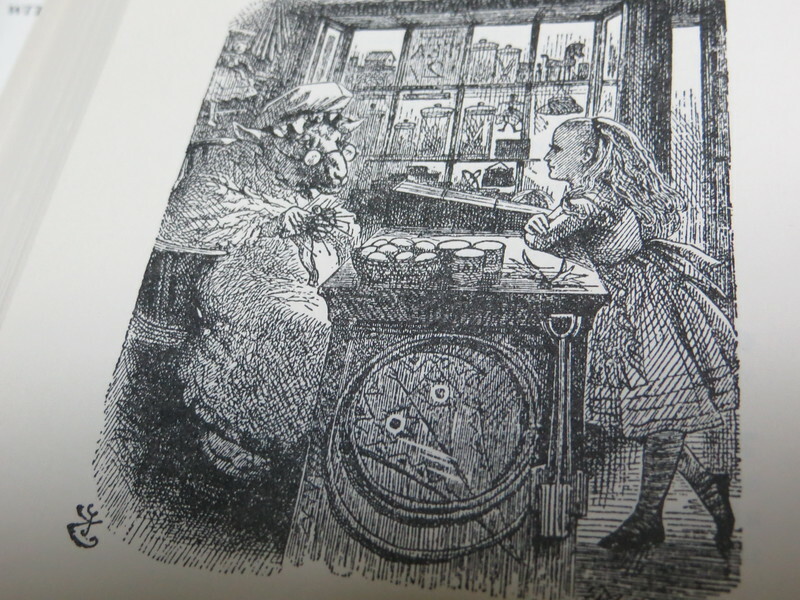 This is a Tenniel illustration from "Through the Looking Glass." Alice goes into a yarn shop and finds a large sheep behind the counter. He based his drawing on a real shop on St. Aldate's St. across from Christ Church College. Today that shop sells all kinds of "Alice" memorabilia. The only difference is that Tenniel reversed the shop; in real life the window is to the right of the door.